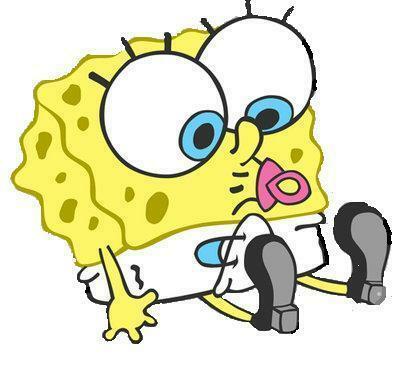 baby. . Wallpaper and background images in the Bob l’éponge club tagged: spongebob squarepants baby. i hate spongeBOB ID RATHER HAVE IN MURDERED BURIED THEN MAKE HIS FLESH GET EATEN AND THEN LEAVE HIS BONES FOR THE BUZZARDS MUAHAHAHAHAHAHAHAHAHAHA MWHAHAHAHAHAHAHA!!!!!!!!!!!!!!!!!!!!!!!!!!­!!!­!!!­!!!­!!!­!!!­!!!­!!!­!!!­!!!­!!!­!!!­!!!­!!!­!!!­!!!­!!!­!!!­!!!­!!!­!!!­!! cavsyo, if u hate Spongebob y r u here? that is the most adoable thing!! I love spongebob more than anything but that picture is the most adorable picture i have seen!!! Nawwwwwwww he was soooo cuteeee!!! so cute makes me want to cry!!!!!!!!!!!!!!!!!!!!!!!!!!!!!! Awwwwwwwwwwwwwwwwwwwwwwwwwwwwwwwwwwwwwwwww­www­www­www­www­www­www­www­www­www what a cute baby Sponge!!!!!!!!! !